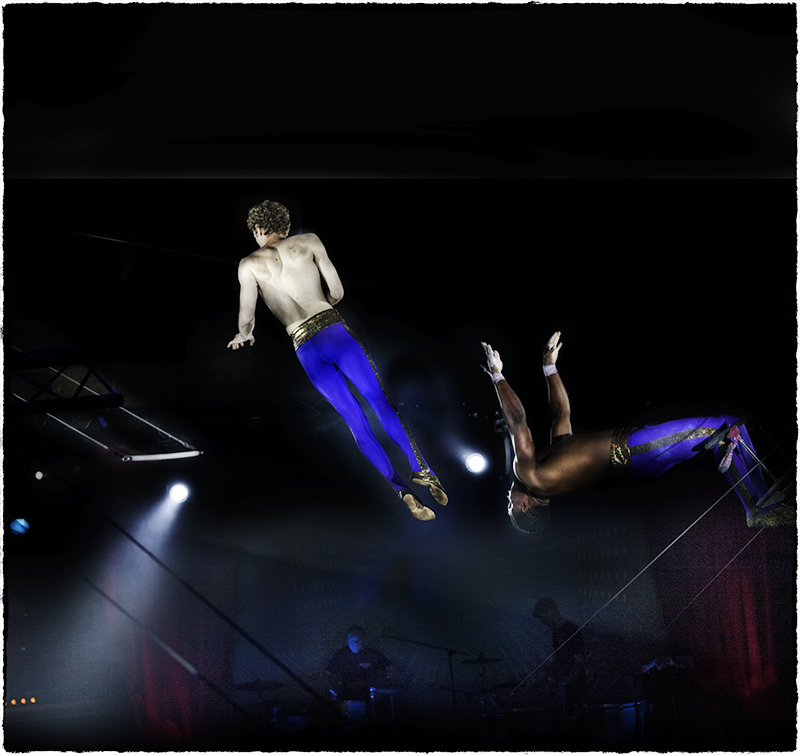 I was surprised by this photograph, a fast shutter speed freezes something we never see, the delicate balance, the fine judgement of the man on the Flying Trapeze. It’s a life and death act we take for granted, but here he is frozen almost in hesitation. His left hand delicately poised. Is the bar where it should be to make it safely back? The catcher’s face seems to be sharing the same thought. If he’s got it wrong we’ll all know in the next split second. But they hardly ever get it wrong, they are so practiced they make it look easy, so we take it all for granted. But just now, in this second, his life hangs in all its fragility in mid air and darkness. This is Melany a contortionist and one of the famous Rolling Daltons. A stunningly attractive girl as are her dad and younger brother. She spent a long time in the corridor stretching and preparing for her performance. You’d expect as much from a contortionist, but then all the acts spent a long time in preparation; in fact they spent more time getting ready to go into the circus ring than they did in their performance. She seemed sultry and I felt nervous about asking her for a portrait shot. But she’s a professional, I got the shot I wanted and she kept her sultry look, only this time it was directed straight at me. When I first started to photograph back stage at the Hippodrome I ran into an immediate and obvious problem. People smiled – a lot. Not just a vague recognition smile, but the great big blast of a pleased to see you smile. They are performers; this is what they do. They could have just broken a leg and you would still get the same reaction. I asked them to ignore me, but they couldn’t help themselves if they saw me looking in their direction. Eventually after trying to desperately merge with the furniture I began to get shots that either caught them off guard or where they simply remained themselves. 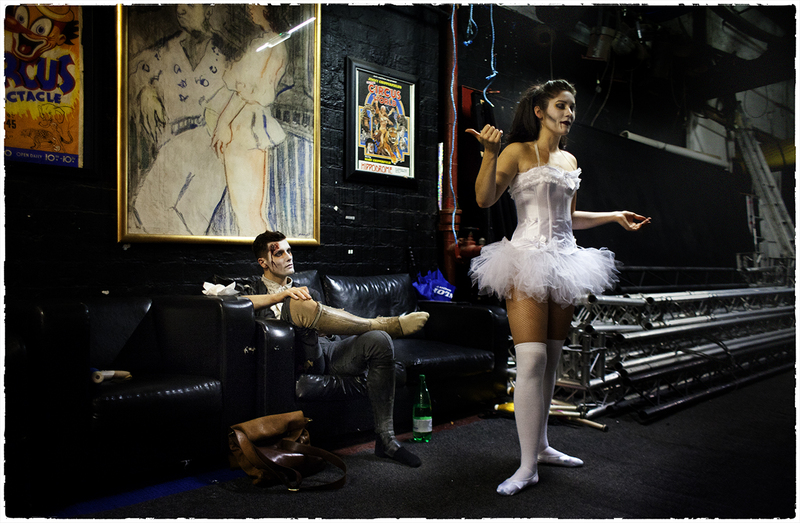 The problem with photographing anything back stage at the Hippodrome is the dancers. Sometimes I’m struggling to find a subject, a composition, anything that captures the imagination. And then the dancers arrive in the corridor, and I no longer have a problem. They always look fabulous, the costumes stunning. Even when they are lounging around waiting to go into the arena they manage to fall into elegant forms on the settees or chairs or simply as they stand talking to other dancers. The men are different, when they relax something in the brain switches off and they slump. Is it the age-old artfulness of women? A predatory awareness of their power? Whatever it is, for me, it’s fatal. ‘Frankenstein’ was a high wire act, he had finished his performance and was staring at the dancer in front of him. Sometimes the performers seem lost in their own world after they have left the noise and applause of the arena. But this juxtaposition of Beauty and the Beast and the very lovely pastels artwork of Bruer Tidman behind them was just too good to miss. The Hippodrome is laden with props, artwork, photographs and paraphernalia. I thought I might have a Cartier Bresson ‘Decisive moment’ here, something to do with the brevity of childhood and the inevitable brutality of the future. It’s a kid in a pram and a butcher carrying some carcasses. Now what strikes me is you don’t get prams like this any more, and where is the kid’s mam anyway? Popped into the shops? 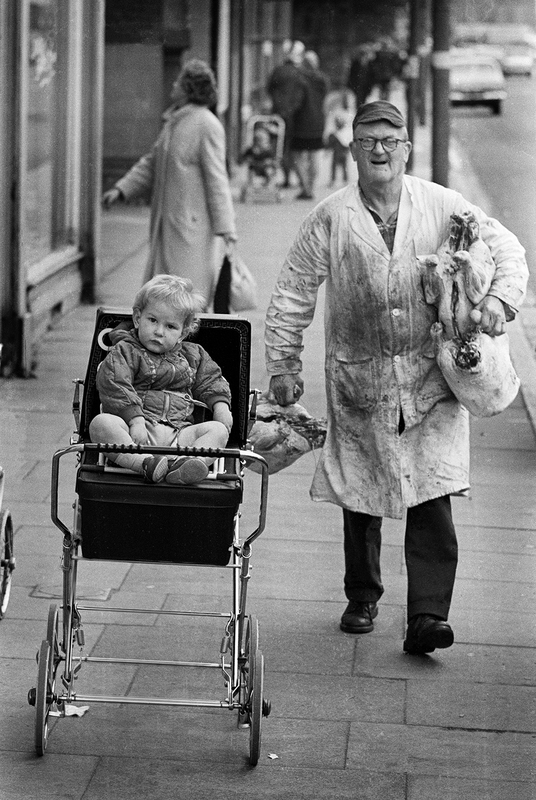 These days we don’t dare leave prams with children alone, and just as unacceptable would be the state of the butchers white coat, not to mention carrying bloodied carcasses in full view of the public down a busy street. But that’s how we lived at the time. So he’s Bruce and she’s Anita… at least I hope she is. Three weeks out at sea and three days home must have made for whirlwind romances. How did they manage it? He looks like ‘Jack the Lad’ and his hair style is fabulous, something of the sea surely, and thank goodness for narrow ties, they don’t date. Frank Sinatra’s Rat Pack wore them to stunning effect with white shirts and suits. So maybe that’s the attraction then, sharp dressed, dangerous men in suits with money to spend… if only for three days. This story has a sequel. The image was seen in the Daily Mail. A young lady wrote in to say it was her dad and the girlfriend was his wife, the young lady’s mum . So Bruce and Anita stayed together and raised a family. Then a daughter-in-law wrote in to say Anita and Bruce were married for nearly 50 years – wonderful story. Please get in touch I would love to hear from you – I think I owe somebody a photograph! 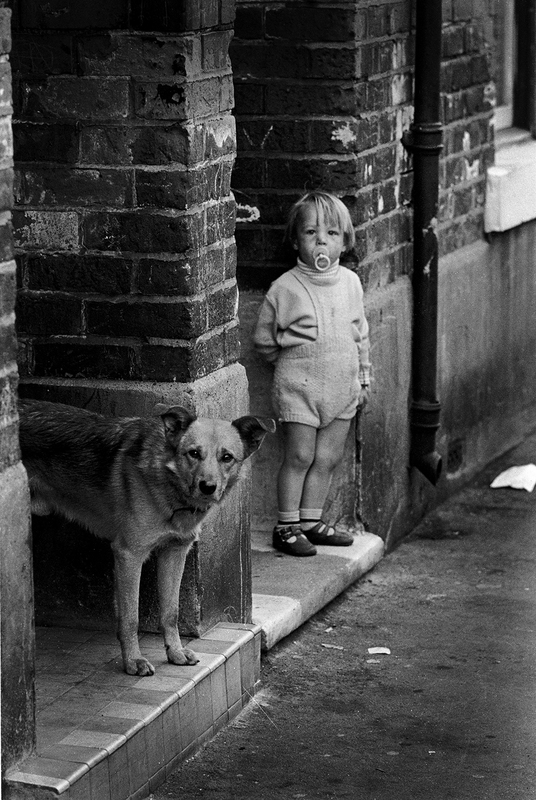 I liked the way both the child and the dog looked at me from their open front doors, both curious but accepting, standing on their doorsteps as equals, quietly confident in their right to be there. The image felt a bit sad to me. We lived on Bilton Grange a relatively new housing estate; it was all fresh air, green verges, trees and parks. A place of bright hope after the Second World War. These streets seemed a shabby place to live in comparison. But they held communities who looked out for each other. When they knocked Hessle Road about and moved the families that had lived there for generations to the big estates like Bransholme it wasn’t a success. They ended up pulling newly built houses down because people didn’t want to live in a neighbourhood without neighbours. 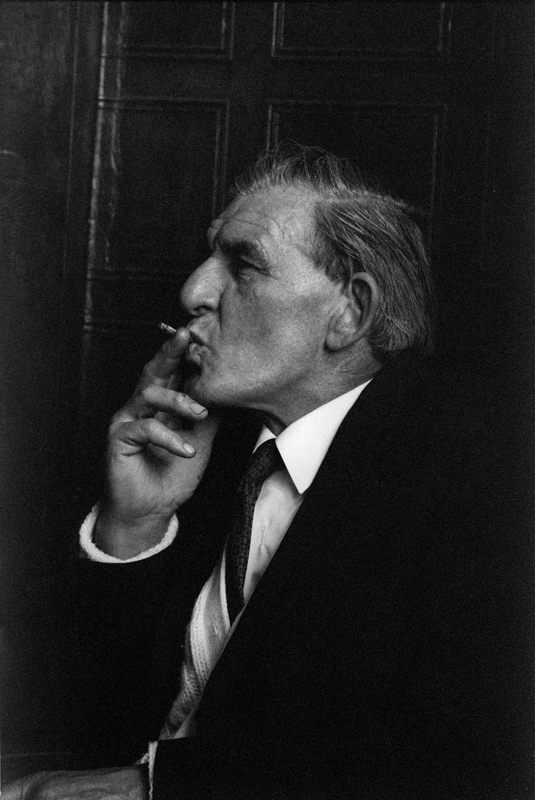 Smoke your roll ups right to the tip, drain your glass of all its beer, stay in the pub ’til the Landlord slings you out. Enjoy every pleasure you can, while you can, because Sunny Jim, there’s not a lot of it about – and maybe not a lot of time left, if the cross in the wood next to him is any kind of a clue. 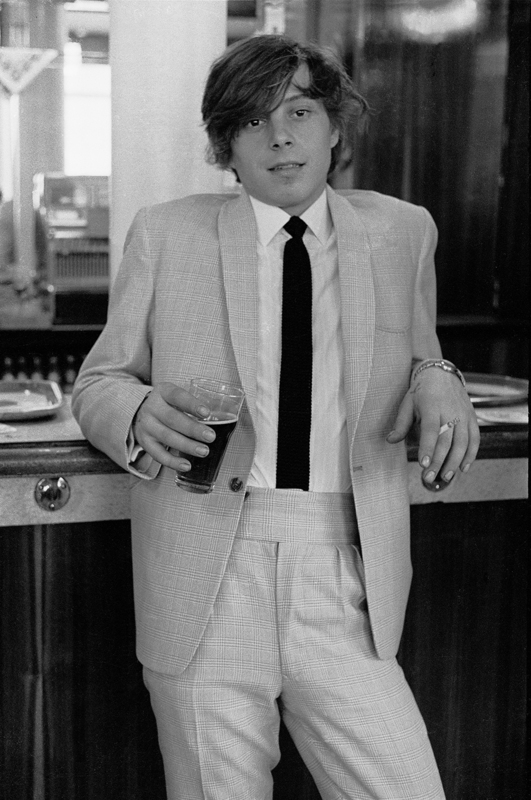 Hull was always a city that seemed to face tough times and only brief rewards, but the trick was – always dress smart. 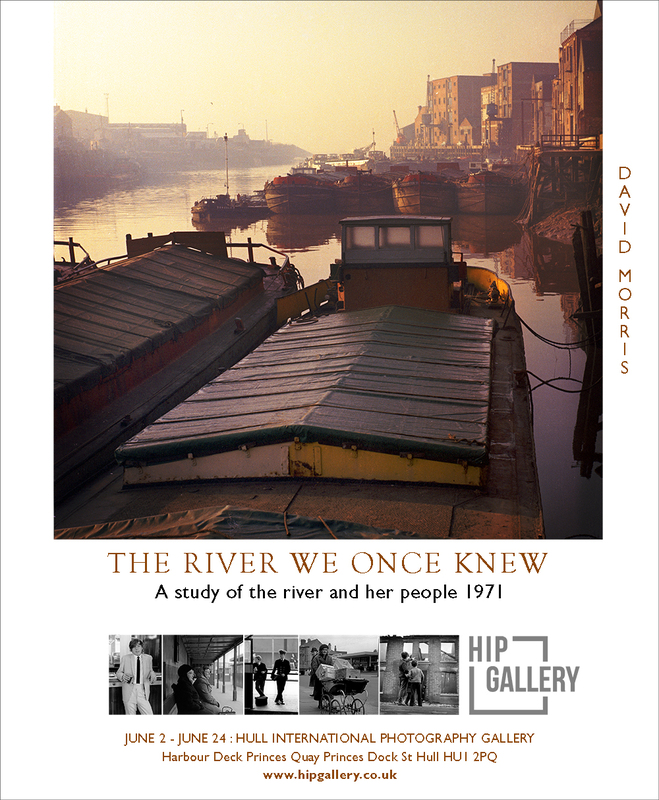 Just one of the photographs on show at HIP Gallery 2 June – 24 June. We had to choose ‘Archetypes’ for a college project. I settled on ‘Deckie Learners’. 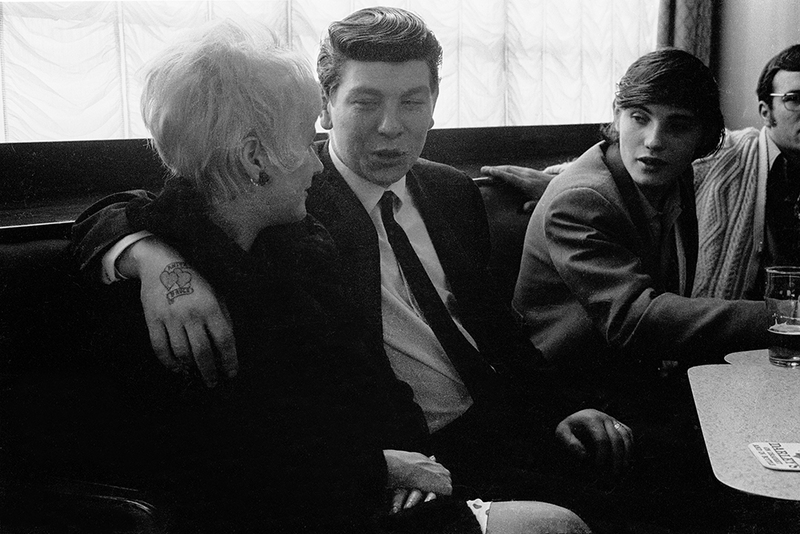 I remember being disappointed that this chap Mick didn’t have the right hairstyle – a greased quiff with the ducks-arse finish. I wanted him to fit an image I had of what a Deckie Learner should be. They had a reputation for being tough and big drinkers who could cause trouble, so I posed him against the bar and asked him to look mean… but he was holding a half pint, another disappointment. It’s a dishonest attempt at a portrait. But Mick transcends all that with his own honesty. A young man in an immaculate suit, out to celebrate his short-lived wealth. Simply pleased to be where he was, young and alive and cash in his pocket. His immaculate suit with its pleated back and wide waistband, white socks and loafers, a jubilant celebration of his tribe. A lady called Ven who I met at the Preview night of the exhibition told me that she worked at Sidney Scarborough as a young women and that they had coined the phrase ‘Three day millionaires’. She said that as soon as the crews were off the boat a lot of them were in to Sydney Scarborough’s to buy music before they even got home. And of course they were loaded with money, so the staff coined the phrase.